You probably have come to this website because you would love to make art. 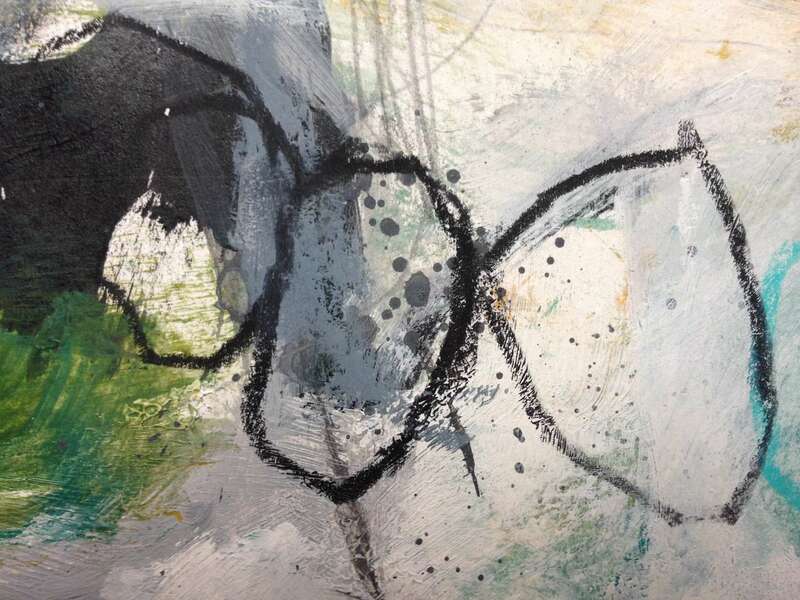 Maybe you are already painting on a regular basis; maybe you are just starting out. Or maybe you haven’t begun yet and would love to get ideas how to start painting and live the creative life. If so, you are in the right place. This website is all about creativity and making art. About how life-giving it is, how much potential for growth it has, and how much happiness it can give you. But art-making is not always easy. If you are making art, the chances are that you bump into all kinds of hindrances now and then. You start with enthusiasm, but you get stuck because the negative and critical voices take over. You have the feeling you are copying others – you can’t seem to find your voice and style. You keep doubting about your art, so painting isn’t the free-flowing activity that you long for. You find it difficult to keep your art fresh and alive. You never seem to find time for your art and establish a regular art practice. I have been in all those places, and find myself regularly in them again. But I firmly believe that it is so worthwhile to keep going on this journey of making art. Getting stuck is part of this adventure, and it is de the challenge to paint yourself to the other side of fear and doubt. Making art is a miraculous thing, and everybody is born with the inherent capacity to do it. So why not do it? With this website, I hope to inspire you to start making art now! I write weekly a weekly blog about art-making, creativity and about personal growth through making art. I will create tutorials and write about practical stuff like tools and materials. 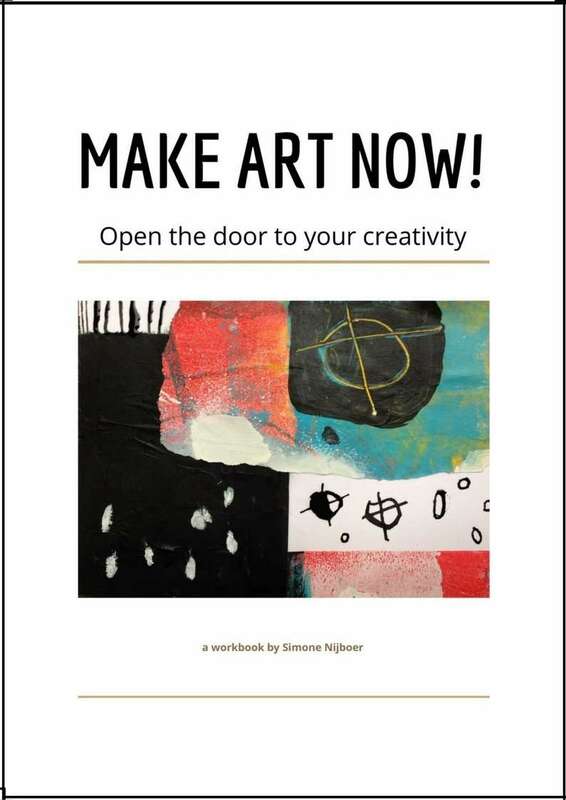 I wrote a free workbook, titled ‘Make Art Now’ to give you a first incentive to start making art today with very cheap and simple materials, In this book I give you art-making assignments that will cost you only five minutes to complete. You receive it if you subscribe to my weekly updates. In those updates I try to encourage you to start and continue your own art-making practice. I also write a blog about my own daily painting. If you want you can take a look in my studio-life and follow along with my art-practice. 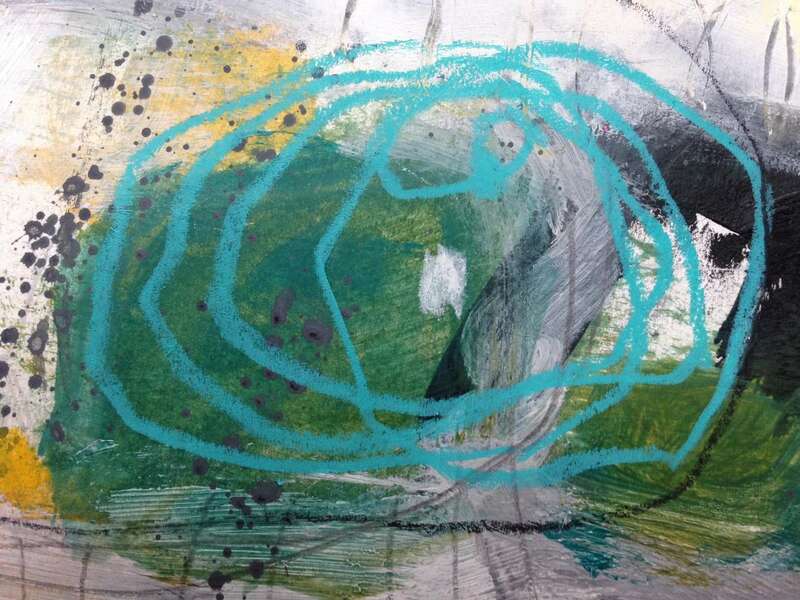 I created the ArtNow Community, an online network of (aspiring) abstract painters. We support each other on our art journey, and share the fun of creating on a regular basis. You are most welcome, and you can substribe here. Since long I wanted to paint. I tried it, but dropped painting again – until a couple of years ago, when I started painting on a more or less daily basis – and loved it! (You can read my complete painting history here – including the seven things that helped me establish this art practice). I am married and I have two beautiful children of 11 and 13 years old. Becoming a mother always was one of my biggest wishes, and I am so happy that this wish came true. My children are getting older, and they get more and more independent. I find it beautiful to be part of their adventure of growing up. I love singing (I’m a choir singer). I’m an introvert, and love being in nature. I try to go hiking whenever it is possible. 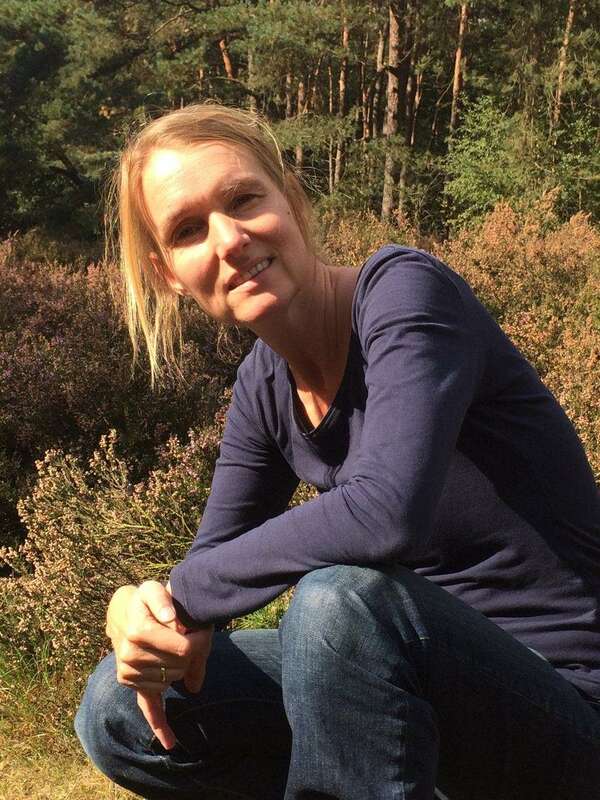 The Netherlands are flat – and I love mountains, so whenever it is possible we try to go there. I am self-employed, which I absolutely love and fits me perfectly. My husband Steven is self-employed too (as a musician and composer), so we work happily together in our house. I hope you will join my art-jouney! If you have any questions, please let me know!